Everyday our solutions empower entrepreneurs and business managers to implement their great ideas and transform business. We know what your brand needs: flexible technology, industry best practices, & proven track record of integration-all at a manageable cost and time. Well, thats what we have helped our customers achieve since 1998. With SupplySoft, you are covered end to end. From transportation to distribution, manufacturing or warehouse management. We deliver complete solutions for total supply chain support. We know that our clients (and their customers) are global, so we offer in-house, global support for as long as you’re our client. We take time to conduct detailed business process review, to understand your specific needs and provide the most efficient solutions. Our deep industry expertise gets you running! We have relentless commitment in bringing together most adaptable technology with the requirements of today’s dynamic businesses. Over 200 business around the world rely on SupplySoft solutions to scale & grow. In 1998, when Humberto Rodriguez left his role as CEO of Dexport Systems to found SupplySoft, he set out to achieve global supply chain challenges. 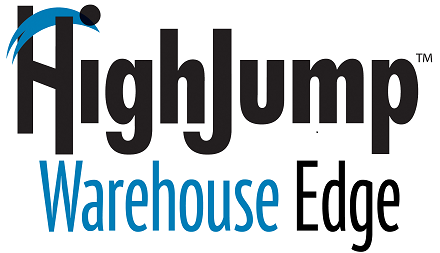 With the support of a superstar team and a partnership with HighJump, SupplySoft has evolved, but the core values remain unchanged from day one. You can call us, but we’ll call you too! We foster long term relationships with our customers. We have an insatiable drive to improve until we get it right. Thats why there is no equal! Common values + respect + fun = our recipe for success! We take pride of our knowledge & skills, but also take accountability when we falter. Thats how we grow! We strive to give competitive advantage for small/mid sized businesses by delivering a complex solution with knowledge, skill and speed. We believe in a clear, honest approach in the process. Unbox your dreams with SupplySoft! At SupplySoft, we continue to grow our global presence in order to meet the demands of our world wide customer base. From our offices in Panama and New Jersey, we have track record of deploying multi national and multi-lingual solutions across USA, Mexico & Caribbean.